Some times the easier and less complicated toys are the ones that your kids will engage your kids more than all the fancy toys money can buy. 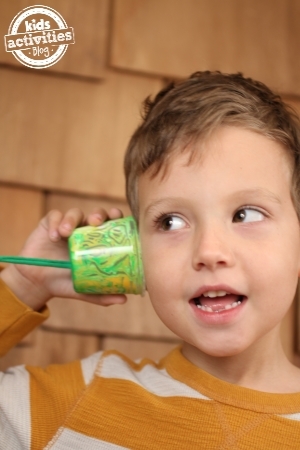 Making your own “telephone” is one of those DIY Toys that your kids will have fun exploring and playing with! 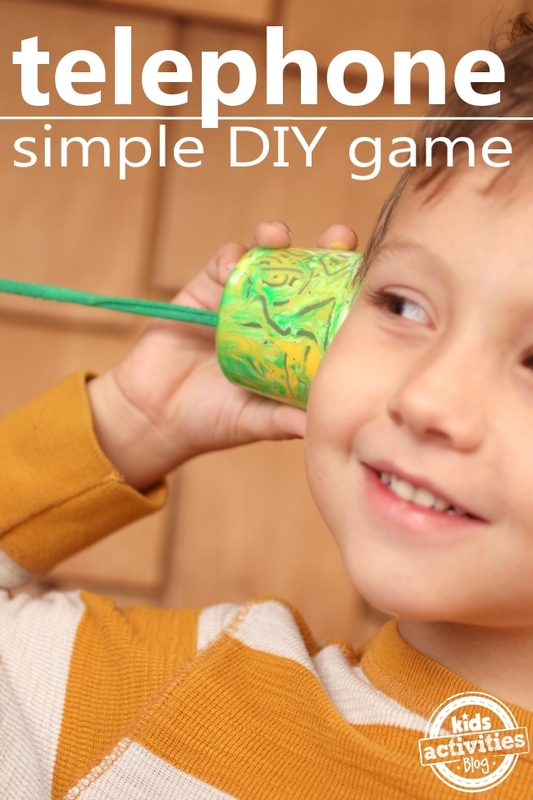 It can become a listening game for kids the whole family can enjoy. Used, clean fruit cups – an even number of cups. We cleaned out our fruit cups, grabbed two bottles of paint. Squirted a dime of paint into our fruit cups and added the metal marbles. Using a magnet we moved the balls around the cup, watching them drag through the paint to spread it around the cup. After the paint has dried, poke a hole through the bottom of the cup and thread your yarn through the bottom. Repeat with the second cup and have your kids stand on opposite sides of the hallway, pulling the yarn tight between the cups. One child can whisper into the cup and the other child can listen. The sound waves of the talking kiddo will travel down the rope and you can hear them!! 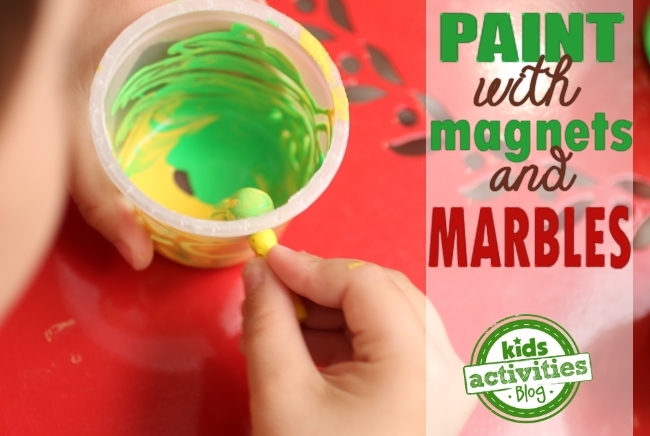 It took a couple of tried for this experiment to work, but when it did the kids were hooked! Magnets pull metal balls. Do you think they would pull a glass marble as easily? Try it! Which has better sound quality, a thick or thin rope? Try both and see which is best. Make a “chain” of phones. Play a game of telephone. 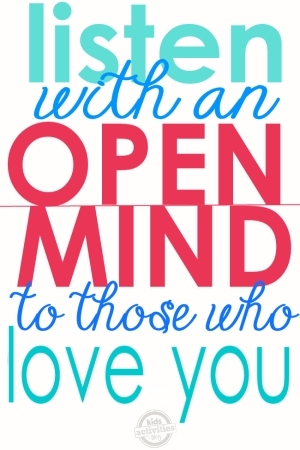 Whisper to each other and pass the message around the house. Love this idea! Definitely on my to-do- list with the munchkins! Thx for sharing!